Seafood restaurants in Oakland always work hard to retain a strong customer base and they know in this basketball season they can easily win customers by talking basketball to them. 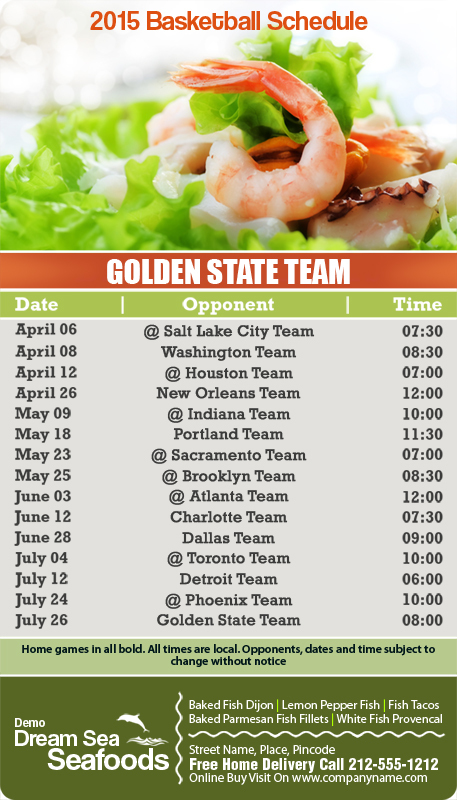 They are largely ordering customized 4x 7 inch one team Golden State Team basketball schedule round corner seafood magnets because it is the only thing, which will take them closer to their customers. People would retain these magnets at their refrigerator doors because it curbs their doubts about the game schedules and tickles their taste buds for seafood specialties!